The exhibition, both online and at the MSU in Zagreb (November 9-December 8 2018) was conceived starting from the residency held last spring, when the curators of MoRE a Museum of refused and unrealized art project - were invited by the MSU to explore the city contemporary art scene. During the residency, many unrealized projects, from the 1950's to the present day were discovered in the archives and the artists’ studios. During the residency, many unrealized projects from the 1950s to the present day were discovered in the archives and artists’ studios. Thanks to the interactivity of the physical and digital exhibitions, it will be possible to discover works like Total Portrait of the City of Zagreb (1979) by Tomislav Gotovac (Sombor 1937 - Zagreb 2010), a draft of a documentary screenplay about the city of Zagreb, The lost pavillion, an unbuilt pavillion by David Maljković (Rijeka, 1973) for the city of Lyon, and a proposal by Petar Dabac (Zagreb, 1942) for an unbuilt museum in Zagreb dedicated to photography (Muzej za fotografiju - Museum of Photography 1986). There will also be several conceptual projects by Vlado Martek (Zagreb, 1951) which stand halfway between linguistic and visual research, such as Ambivalentna tautologija (2013-2014) and Ništa (2015), two unrealized videos - The Moons (2011), in which the artist intended to document the existence of a second moon, and The Room (2009), a stop-motion video on a spritualist séance by Marko Tadić (Sisak, 1979) and Lithopuncture (2004), a project for a series of urban sculptures by Marko Pogačnik. The last was part of "Urban Intervention", a project organised by the Sirius Centre and promoted by the MSU, partially conserved in Lake Jarun Park in Zagreb, while some elements in the city centre were removed or relocated several years later. Two well-known historical projects are also exhibited: the Yugoslavian Pavilion designed but not realized for the Paris Exposition in 1950, the result of a collective design process by Ivan Picelj (Okučani, 1924 - Zagreb, 2011), Zvonimir Radić (Zagreb 1921 - 1985), Vjenceslav Richter (Drenova, 1917 - Zagreb, 2002) and Aleksandar Srnec (Zagreb, 1924 - 2010) and Synthurbanism, Richter's visionary project of the '50s and '60s. Financial reasons, Logistic Reasons, project abandoned by the artist, Removal / Destruction, Technical reasons, Theoretical exercise, Unknown. The desire to create a small virtual exhibition of unrealised pictorial projects stems from the need to analyse the pictorial medium within the contemporary artistic production. Five years ago we started the MoRE Museum project and in this time we have collected about one hundred unfinished works, all designed to be performances, installations, videos and sculptures. After years of work, my research as a curator at MoRE wants to address the art of painting, with the aim of understanding (through various acquisitions structured into several outputs) how the artistic discipline par excellence is "designed" - if I am allowed to use this term - and how, in some cases, it fails to become a reality. Liliana Moro. A place for playing Unrealized projects 2002-2009. This exhibition presents four unrealised projects by Liliana Moro, conceived between 2002 and 2009 for several public art competitions and commission in Italy. Here they are presented in chronological order: In bocca al lupo (2002); Testa di Pinocchio (2003); Viene e va (2005); Preferisco il rumore del mare, Concorso di progettazione Piazza Verdi - La Spezia (2009). This exhibition presents four unrealised projects by Luca Vitone, conceived between 2002 and 2010 for several public art competitions, three in Italy and one in Germany. Here they are presented in chronological order: Una tigre per Torino, project for the competition Premio ArteGiovane - Torino incontra l’arte. Una porta per Torino, 2002; Design competition for Piazza Verdi – La Spezia with Frank Boehm, 2009; Concorso per la progettazione di un monumento dedicato ai disertori del nazismo, Cologne, 2009; Foglie al vento, project for the competition Arte per piazza Matteotti - Imola (Bo), 2010. In the term "unrealized" there is a space between the particle ‘un-’ and the verb: the projects that are donated to MoRE, which aims to archive, guard, disseminate and possibly relaunch said works, fall into a place of suspension, between surrender and waiting. Regardless of the cause, an unconcluded project lives in a undetermined condition: it exists but isn’t really there. We tend to give a negative connotation to all that remains unfinished, unfulfilled, not built (even not said), because it reminds us of a ​​loss in terms of opportunity, energy, of an object, an intangible asset, the loss of a value. A loss - a term used in physics, geography and technology, in medicine, in economics and the military - doesn’t necessarily entail a disaster, although it is very close to one. During the 80s, when Vito Acconci started to focus his attention on environmental and architectural projects, reaching extreme limits in his research on body and space, his ultimate goal was never its fulfilment. "I don’t even know if I can say that our goal was to build projects. If that was our goal, then we’ve clearly failed". In planning and the “unbuildable”, Acconci sees the possibility to re-examine not the past but the 'things that have yet to come'. It is as if, without the pressure to be successful at all costs, the energy invested in an unrealized project flows towards different directions leading to new ideas and outcomes. Two artists I had invited to donate a project refused to do so. Their motives can be summarized as follows: not all projects contain a medium to high risk margin and the artist's tenacity is crucial; The artist ends up with a work and inferior ideas die in the process. The strength of Vladimir Tatlin's Monument at the Third International (1920), lies in its being more than its actual existence, in the insights that the project contained - first and foremost that art should be informative - and in general in the Constructivist considerations on sculpture during the 60s (Carl Andre, Dan Flavin, Donald Judd, Sol LeWitt), the architecture, the city (especially in the 80s), and finally the communication between members of the international community. We must therefore continue to regard unrealized projects as bearers of aesthetic values, as editable, able to be rethought and versatile. And especially in this day and age, shareable. The Aeromodeller (1969-1971) conceived by Panamarenko was never launched: when on June 6 1971, the artist and a group of assistants began to fill the balloon with hydrogen gas, the goal was to fly the airship from the fields outside of Antwerp. The danger of an explosion from the highly inflammable gases was aggravated by the blustering wind and by the balloon's constant flipping broadside into the gale due to certain navigational limitations of the design. Fearing a full-on disaster, Panamarenko with a pair of scissors slashed into the balloon to release the dangerous gases. In this last example, the risk of not succeeding is very much part of the project and the non-operational nature of the artist's flight device can be read as part of its intended beauty. 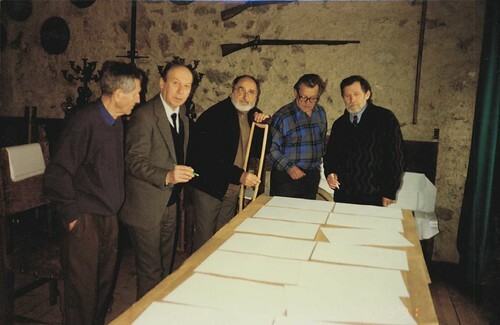 In March 1991 the collector and publisher Francesco Conz, in collaboration with the Muzej Suvremene Umjetnosti - MSU of Zagreb, invited a few artists who had been part of Gorgona, the Croatian Croatian avant-garde group active between 1959 and 1961, to an artistic residency at the castle of Brunnenburg in Merano, Italy. During their residency, the five artists created thirteen works of art as well as fifteen hand-made copies of each work. All of which were created on the same size of paper (30x42 cm), as used by the artists who participated in the residencies for La Livre edition. However, contrary to their initial intentions, the group distanced itself from Ezra Pound because of the possible political implications conveyed by his figure. Neither La Livre nor any single issue that should have included the works created by the artists of Gorgona during their residency were ever completed and therefore published. One MoRE Year. 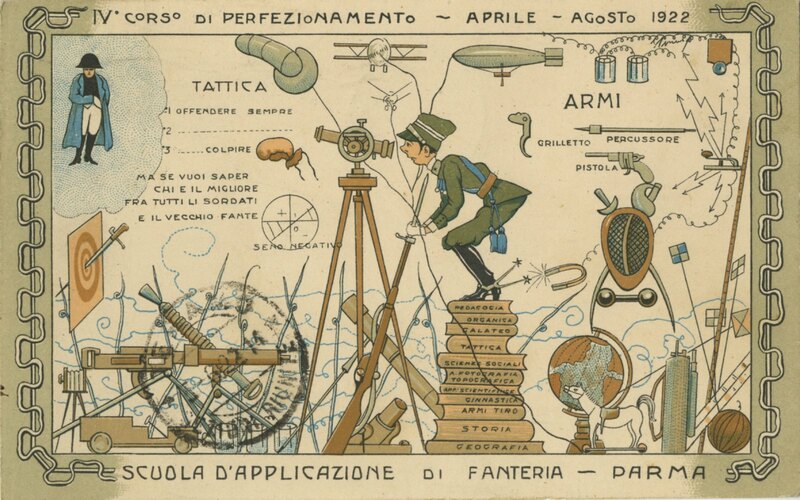 Opere dalla collezione del Museum of Refused and Unrealised Art Projects. The project involves seven artists who were invited in 2004 by curator and art historian Roberto Daolio (1948-2013) to realize a series of art works to be placed on the top floor of the new Department of Pediatric Oncology in Sant’Orsola Hospital in Bologna, in collaboration with the Association AGEOP (Association for the assistance and the reception of children affected by cancer and leukemia). The invited artist were Silvia Cini, Emilio Fantin, Claudia Losi, Eva Marisaldi, Sabrina Mezzaqui, Sabrina Torelli and Marco Vaglieri. The project will never be completed, however it was presented in an exhibition, SPA SALUS per ARTE at the Open Space for Arts of the GAM in Bologna (16th June to 5th September 2004) and published in a catalogue.